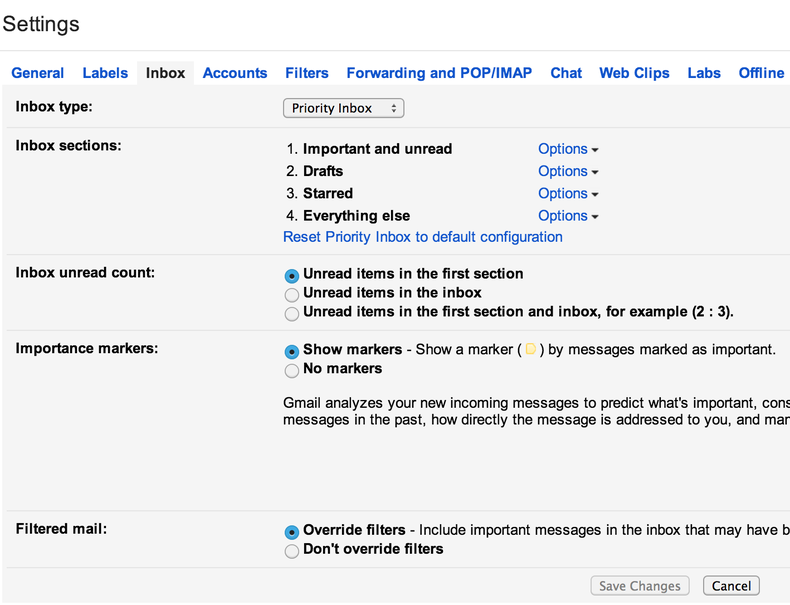 Priority Inbox is my favorite feature to come to Gmail since the original (and revolutionary) threading system. Thanks to it, I only get notifications on my phone when the email is actually something that warrants my attention. The algorithm is surprisingly good. Little known is how it allows you to customize the sections your inbox is split into. Next come drafts. Whenever I need to respond to an email but don't have time to do it immediately, I create a draft and check this area for emails that I need to follow up on when I have the time to do so. I limit this to 5 visible items but I try not to have more than that many drafts open at a time anyway. Next come starred messages. Whenever I need to read an email again later, or follow up on a link in it, I star it. I guess everyone probably has their own system for starring messages. 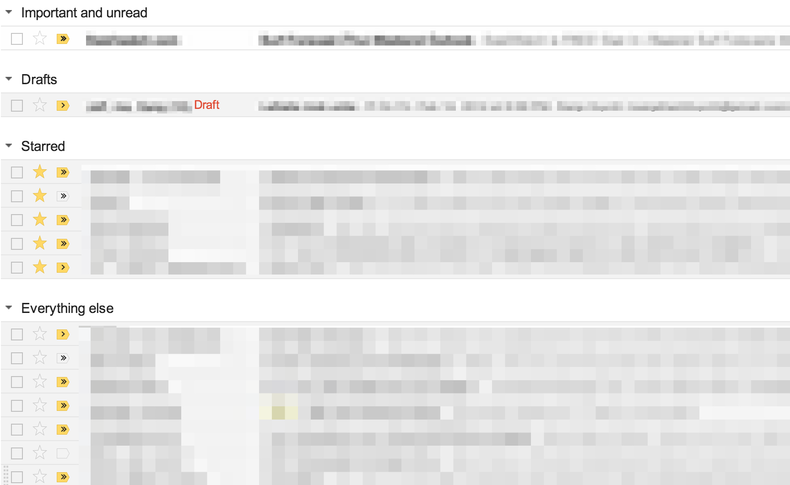 I like the distinction between emails that merely need to be read (stars) vs. responded to (drafts). I limit this to 5 visible items as well. Last comes everything else. I comb through this section much less frequently for unread messages or ones that should have drafts or stars that slipped through the cracks. I set all of these sections to hide when empty (not sure why you wouldn't want this behavior). I see a lot of people using desktop clients to access Gmail, but I think by doing so you give up some of the best aspects of the web interface, which makes a clean break from the traditional mail client paradigm. Give it a try, you've got nothing to lose except the time you're wasting.